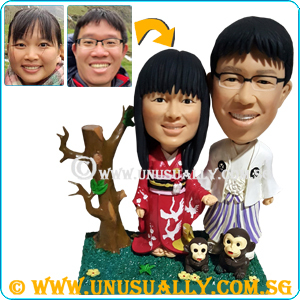 ** Suitable for single, couple or family figurines etc. For more than 2 figurines to be placed on it, a bigger base will be sculpted and the cost will be different depending on the number of figurines to be placed on it. * Any couple or single figurine's can be placed on this base.